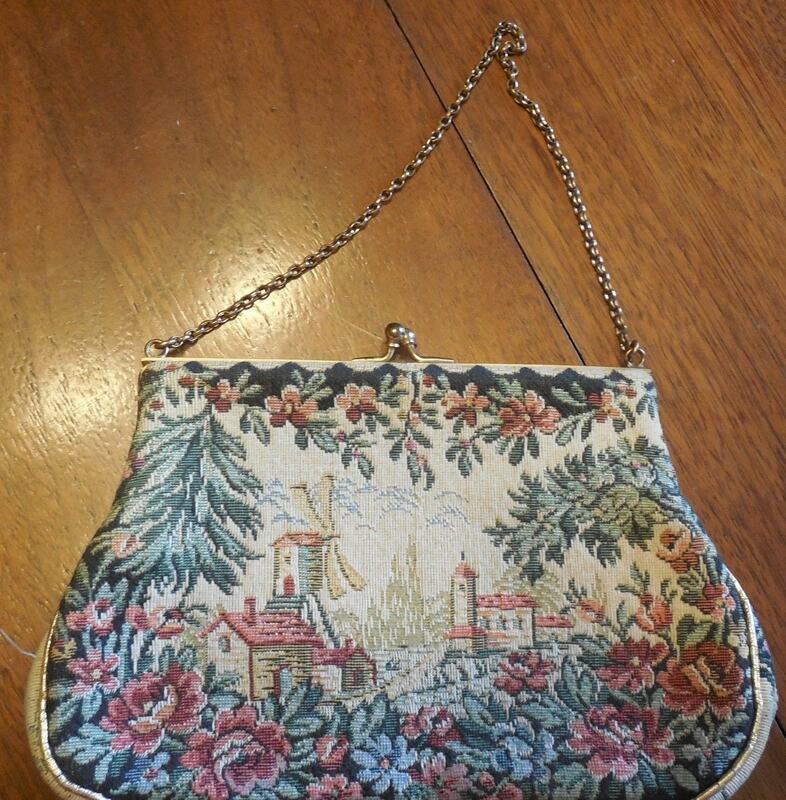 This is a vintage handmade Jolles bag, tapestry with Windmill Dutch design. Has gold tone carrying chain. 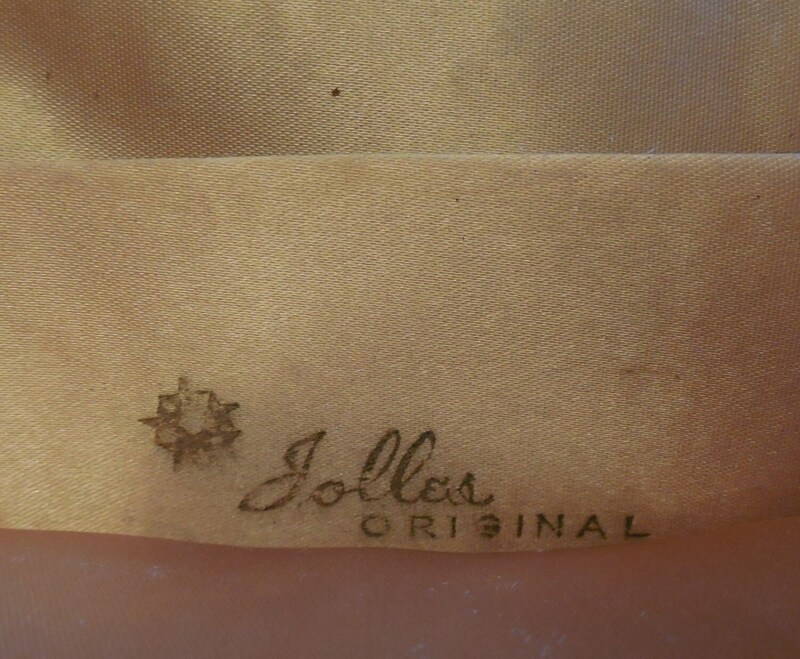 Inside has pink satin lining with Jolles Original marking. Also has small side pouch with a carry mirror. It measures about 6 1/2 inches long by 4 inches wide. Very nice tapestry in colors of cream, beige, green, rose and black. The Jolles bags are hand-made and very collectible. 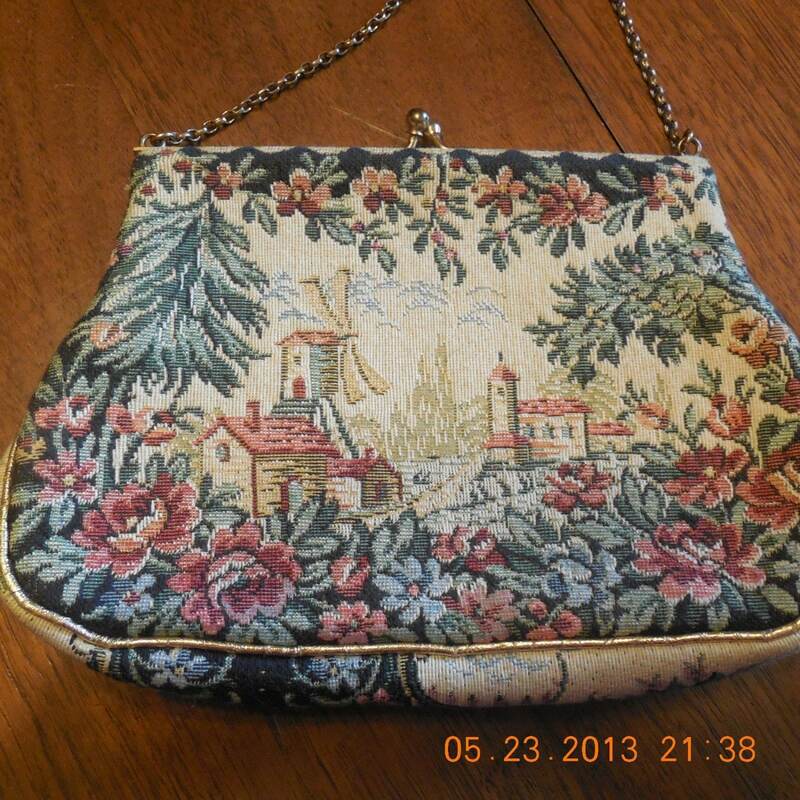 Go to: http://www.antiquepeek.com/Purse_petit_point_scenic.htm to see other examples and market prices. Priced under market.